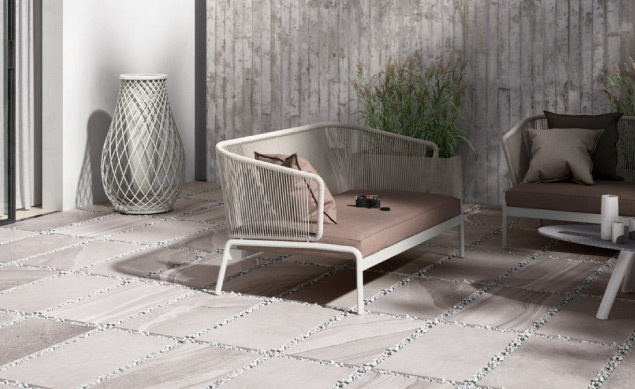 with our selection of 6 stunning Design pavers. 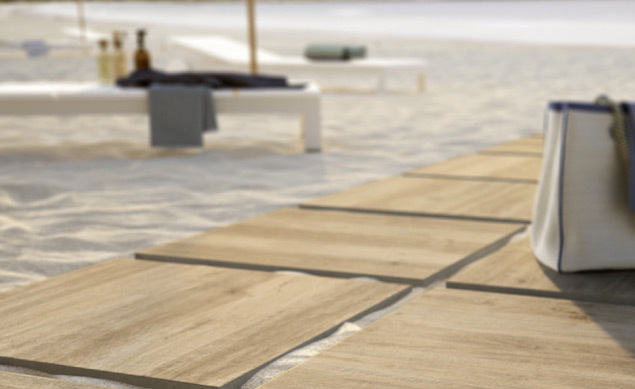 be combined to create a complete decor floor pattern. 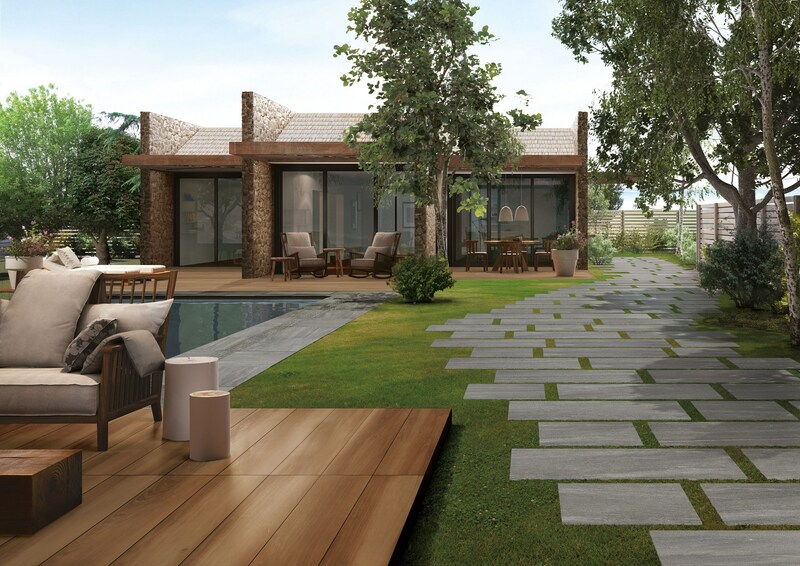 The pavers can be laid on grass, gravel or sand. 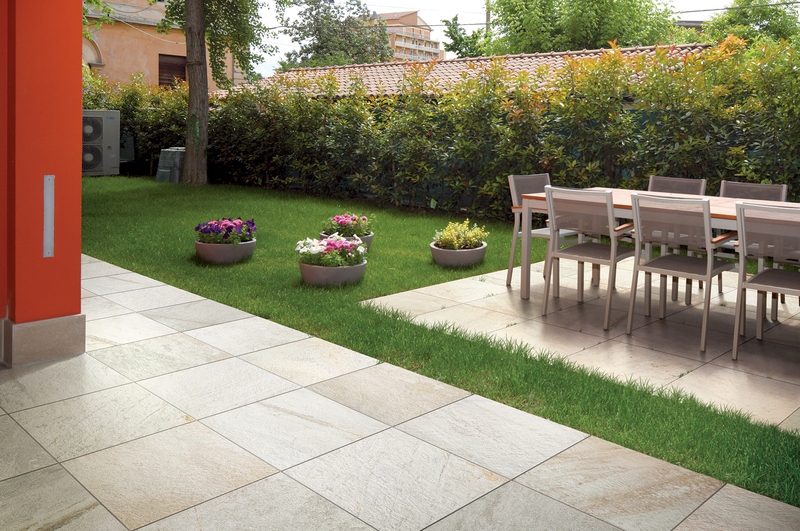 Available in 600x600x20mm in 4 colours that simulate a natural quartz stone finished with a non-slip R11 surface for outdoor use. 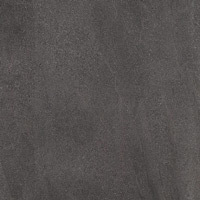 The Quartz Greige , Anthracite & Grey are now also available in a stunning 600x1200x20mm slab. 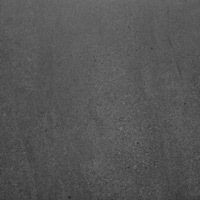 The Quartz Greige and Grey are also available in both an indoor and outdoor finish in 600x600mmand 600x1200mm in the normal 10mm thickness. 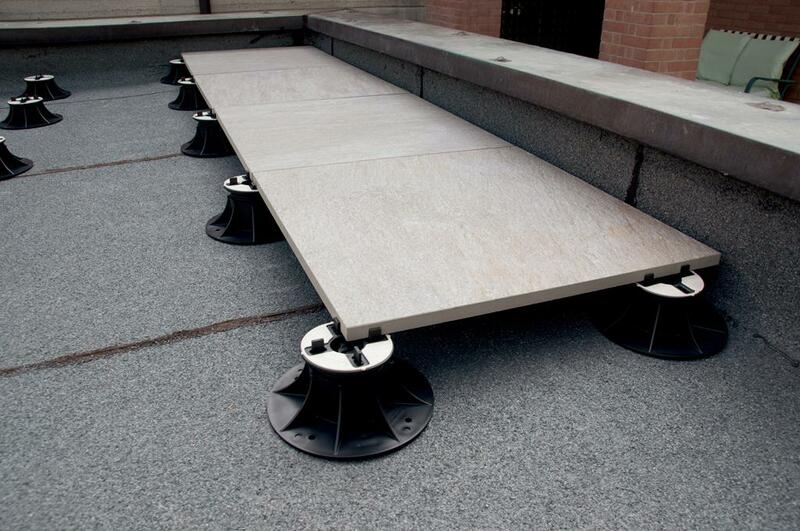 This allows your floors to run seamlessly from inside to the outside and into your garden space. 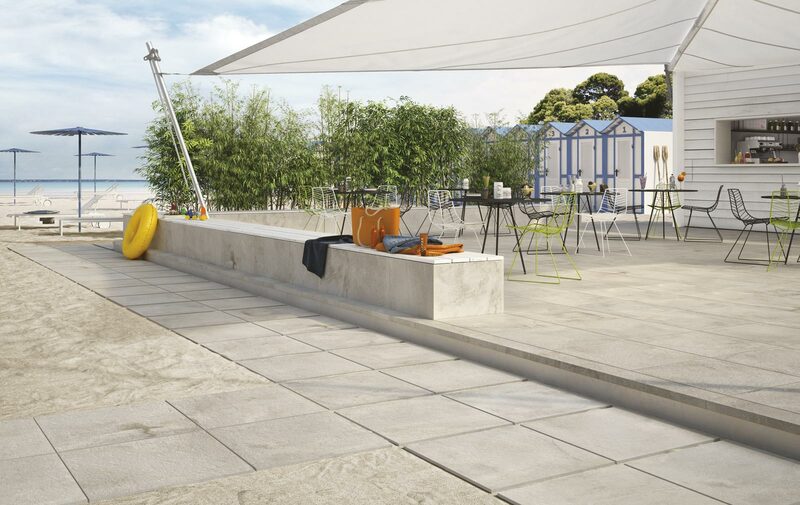 Add a decorative twist to your outdoor space with our selection of 6 stunning Design pavers. 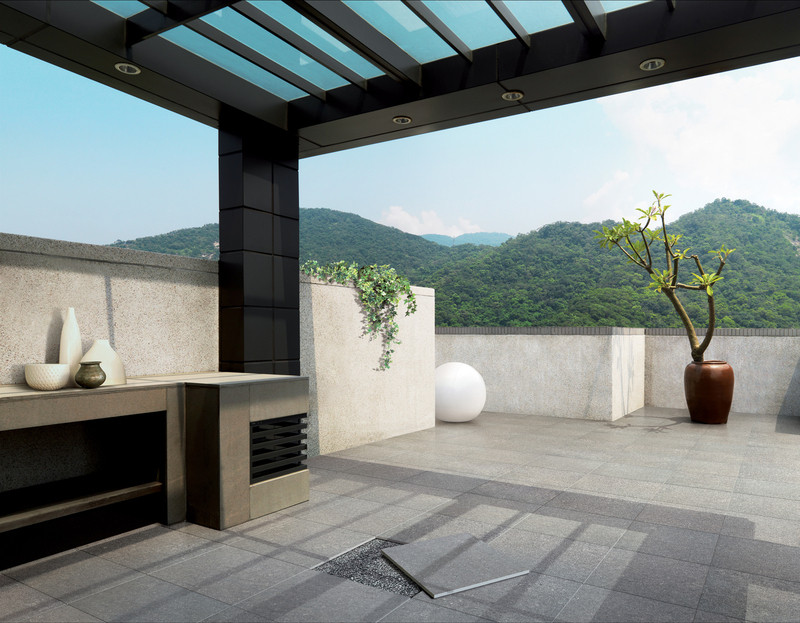 The pavers can be used as single décor or can be combined to create a complete decor floor pattern. 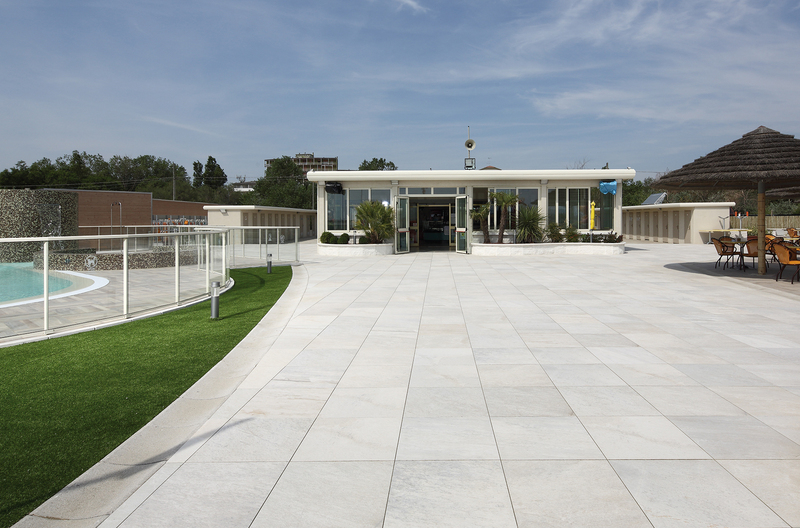 The design pavers are 600x600x20mm.and can be laid on grass, gravel or sand. No cement required. 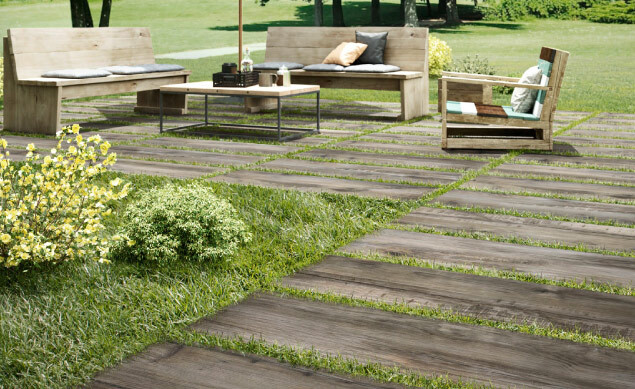 Available in 300x1200mm in 2 natural wood colours , Nero, and Moka, simulating a sleeper type wood in a non-slip R11 surface for outdoor use. 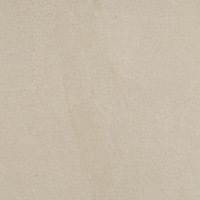 ARCHITECH 2CM is available in the 600x600mm format in 4 colours that simulate a natural quartz stone in a non-slip R11 surface. 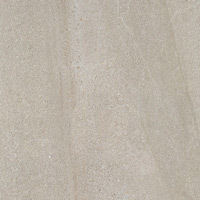 Also available in 600x1200mm Quartz Greige, Quartz Anthracite & Quartz Grey.